Tim Plummer graduated in May 2017 with a bachelor’s degree in Philosophy, Politics, and Economics. Tim is from Upland, CA. At the Rose, Tim worked on an analysis of the California Voting Rights Act. 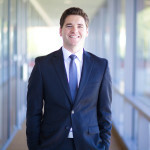 In the past, he has worked as the Content Manager, written multiple articles for the Inland Empire Outlook, and conducted research on a variety of fiscal issues in California. On campus, Tim was also involved with the Model UN team. 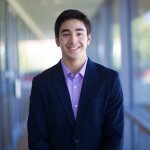 Since he began at CMC, he has been fortunate enough to pursue a passion of living in hot, dry climates; he has had summer internships in Sacramento and Las Vegas, and he studied abroad in Amman, Jordan during his junior year. Tyler Finn is from Atherton, California, who majored in Philosophy, Politics, and Economics. At the Rose, worked on an analysis of the impact of the California Voting Rights Act. 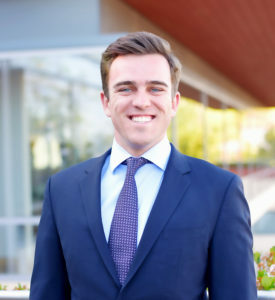 On campus, Tyler also worked for Office of Admission and was a member of the Associated Students of Claremont McKenna College Executive Board. Law school is likely in his future. In his spare time, he enjoys running, playing tennis, and spending time in the waves and on the slopes. He begins his post graduation life as a policy associate at AirMap. Harry Arnold was a Government major from Birmingham, AL. At the Rose, he led the Miller-Rose Initiative Database and has researched for the Viewpoint Research Polling Project. On campus, he served as the managing editor of the Claremont Independent, and has written for various campus publications. Harry completed internships at the Alabama Policy Institute, America Rising LLC, and for Congressman Mike Rogers (R-AL). Harry, who graduated in December 2016, is working in Washington DC and plans to attend law school. On July 22, 2017 he tied the knot with high school sweetheart, Grace Carroll. Lanie Corrigan, a Portland, Oregon native, was a Philosophy, Politics, and Economics major. At the Rose, Lanie conducted criminal justice and legal research, leading the Crime Funnel project. She became interested in the legal system and its effects after working at a Portland public defender’s office after her freshman year. 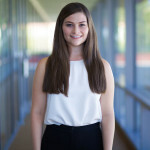 Lanie has also interned with the Project On Government Oversight, a Washington, DC-based nonprofit watchdog, and has studied abroad in Tunisia and Spain. 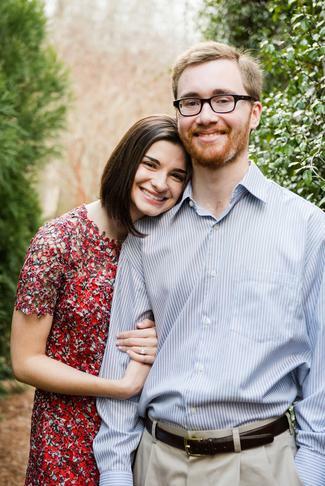 In addition to the Rose, Lanie worked as a consultant with SOURCE Nonprofit Consulting, and was a senior interviewer in the Office of Admission. Ben Fusek is from Eugene, Oregon, who graduated with a Philosophy, Politics, and Economics major. At CMC, Ben was a member of SOURCE, a student-run nonprofit organization, co-president of the Winston Churchill Society, and a member of the Claremont College’s most dominant intramural basketball team. At the Rose, Ben served as Project Manager of the Fiscal Analysis team. He also worked on database management and website creation as a member of the Technology Team, and written numerous articles for the Inland Empire Outlook. 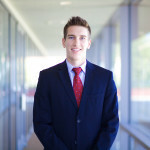 Over the past few years, Ben has worked in Rwanda and Mongolia, studied abroad in Granada, Spain, and had interned in Los Angeles at Mercer in their human capital consulting practice. Short-term plan: After a national parks road trip and a few weeks in Japan, Ben will be spending a year working for a small business advisory firm in Lilongwe, Malawi as a Princeton in Africa Fellow. He will then be returning to LA in the summer of 2018 to work for Mercer, a human capital consulting firm. Long-term plan: Perhaps grad school, starting his own business, or working overseas. He really does not have set long term plans. His hope is to continue working in positions that allow him to positively impact the world while growing both professionally, and more importantly, personally. 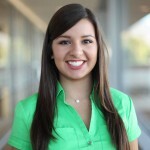 Francesca Hidalgo, who is from Cedar Rapids, Iowa, graduated with a PPE major. At the Rose she worked with the Design and Communications team, as well as assisting in Video Voter and Three Strikes projects. Francesca served as the New Hire Manager during her senior year. When she’s not at the Rose, you can find Francesca eating ice cream, reading a book, kickboxing, or maybe even all three. She spent the summer 2015 in Ulaanbaatar, Mongolia and the fall semester studying abroad in Madrid, Spain. 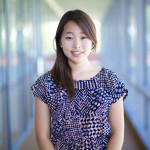 Grace Lee is from Buena Park, California, who majored in Philosophy, Politics, and Economics. Outside of the Rose, Grace founded Eunoia EduQuest, an educational organization working with local high school students of Pomona and Ontario with the mission to address the opportunity gap. Grace is passionate about community engagement and enjoys being involved in local campaigns. 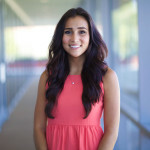 She envisions a career in public policy, addressing issues such as education and poverty. She spent a summer as a Public Policy and International Affairs Fellow at the Woodrow Wilson School at Princeton. At the Rose, Grace headed the Education Funding project. She hopes to work in Sacramento or Washington, D.C. In her spare time, Grace enjoys reading C.S. Lewis and spending quality time with friends. Tamara Skinner is from Phoenix, Arizona, who majored in Philosophy, Politics, and Economics. In high school, Tamara’s passion for politics led to her participation with the Junior Statesmen of America where she debated and discussed current events with other high schoolers from around the country. She later went on to found the Junior Statesmen chapter at her high school. Tamara has worked on local campaigns and enjoys participating in community service. At the Rose, she has worked on projects dealing with policy analysis and demographic research. She spent the summer of 2015 interning at the Office of Arizona Governor Doug Ducey. She plans to study law. Josh Rooney is from Memphis, Tennessee, who graduated with a double major in Philosophy, Politics, & Economics and Russian. At the Rose, Josh was project lead on the Kosmont-Rose Institute Cost of Doing Business Survey and researched demographic and fiscal trends in Riverside County. On campus, Josh is also actively involved with CMC’s Army ROTC program. In rare moments of down time, Josh enjoyed playing basketball, reading whatever he can get his hands on related to government or economics, and talking with family back home. In the fall semester of 2015, he received the David L. Boren Scholarship to study at Al-Farabi Kazakh National University in Almaty, Kazakhstan. He hopes to teach English in Russia for a year, work in Washington DC, and eventually attend law school. Favorite Rose project: Kosmont-Rose Institute Cost of Doing Business Survey!